We trialed this one last year and were really impressed by its performance. 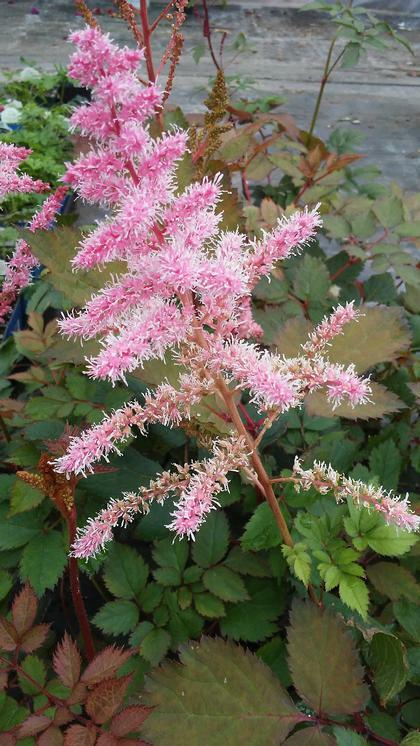 Strong, tall and large plumes are pink with red stems. Dark green abundant fern-like foliage. Mighty Pip indeed.